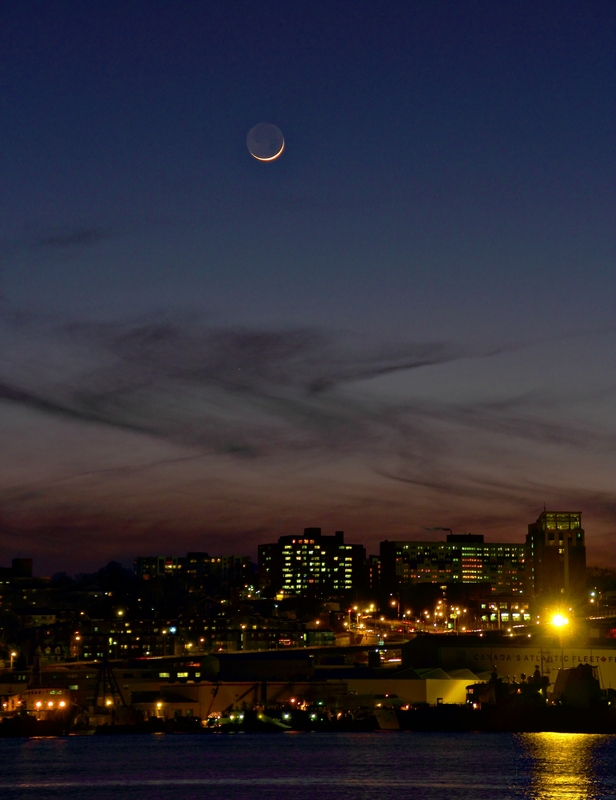 Here are several shots of the January 21, 2015 planetary alignment of Venus, Mercury and a thin crescent Moon. 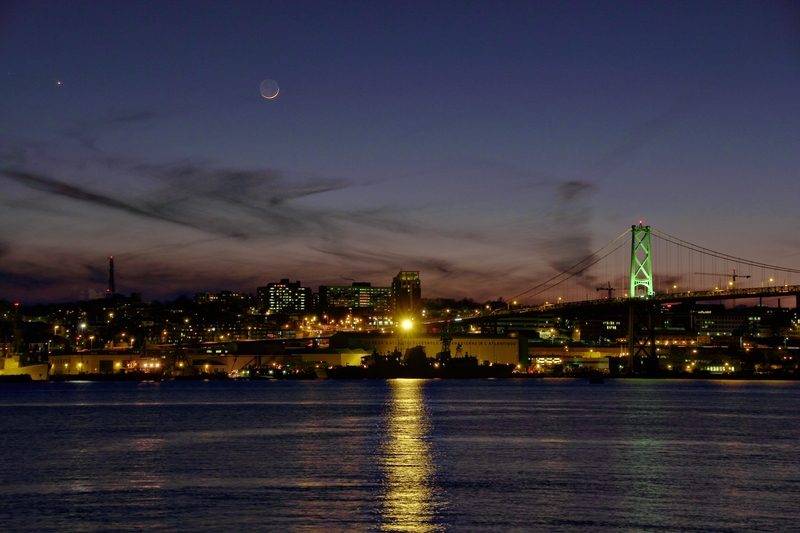 The images were taken from Alderney Landing in Dartmouth looking west toward Halifax. Mercury is just visible in the clouds. Image sharpened using multi scale decomposition and merge blend combine using Images Plus. Slight saturation boost.